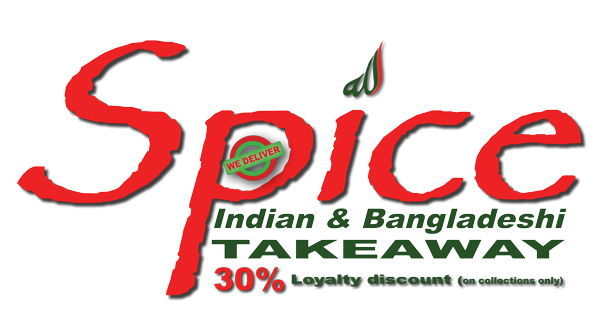 We are an Indian Takeaway (6 Porthpean Road, St Austell, PL25 4PJ tel: 0172675575) aiming to provide you with the best quality Indian cuisine whether you want to collect your food, or have it delivered to your door! Our team consists of dedicated and passionate chefs with friendly and experienced receptionists as well as local, experienced drivers. Recently the menu has been updated with new dishes to provide unique, mouth-watering Indian meals. Our extensive menu caters for both beginners and veteran curry lovers. The dishes are carefully selected to cover all corners of India and Bangladesh from Raja and Maharaja's favourite cuisines. If you would like your dishes to be milder, or strongly spiced, please let us know and we won't fail to impress. Every order we receive is cooked to order with fresh ingredients as we aim to maintain a very high standard therefore we thank you in advance for your patience. Your constructive feedback is always welcome and are in the forefront of all of our future changes. Your satisfaction is our mission! Pickled Hot chili of Bangladesh. Made with Naga morich grown at home here in Cornwall. Strips of chicken covered in breadcrumbs and served with sweet chilli sauce. Please note these dishes can only be made on the day stated as preparation is needed to make the curries. Chicken or lamb with king prawn, boiled egg, in our own spices. spiced with freshly ground herbs, sauteed with fresh tomatoes, onions and capsicums cooked in oriental spices, medium. Chicken saag (Chicken curry with spinach) is one of the delicious north Indian traditional dish. It is an amazing combination of chicken and spinach. When chicken and spinach cooked together with onion, garlic and tomatoes it makes an awesome main meal dish. It provides protein and vegetable into one dish. Lamb saag (Lamb curry with spinach) is one of the delicious north Indian traditional dish. It is an amazing combination of Lamb and spinach. When lamb and spinach cooked together with onion, garlic and tomatoes it makes an awesome main meal dish. It provides protein and vegetable into one dish. Balti dishes are cooked in an iron Kashmiri pan (known as a Balti) with freshly blended spices, fresh tomatoes, green peppers, onion and flavoured with herbs. The strength of these can be prepared to suit your taste. Served with rice or naan bread. Chips fried in onion with a hint of curry seasoning. carbonated energy drink with taurine, L-carnitine, caffeine, ginseng and B vitamins with sugar and sweetener.